Hi my friends! How was your weekend? 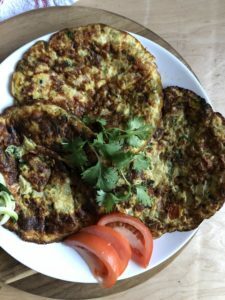 I’ve been meaning to share this delicious simple egg recipe because I am sure just like me you guys must be sick of eating chicken or red meat every day for iftar. 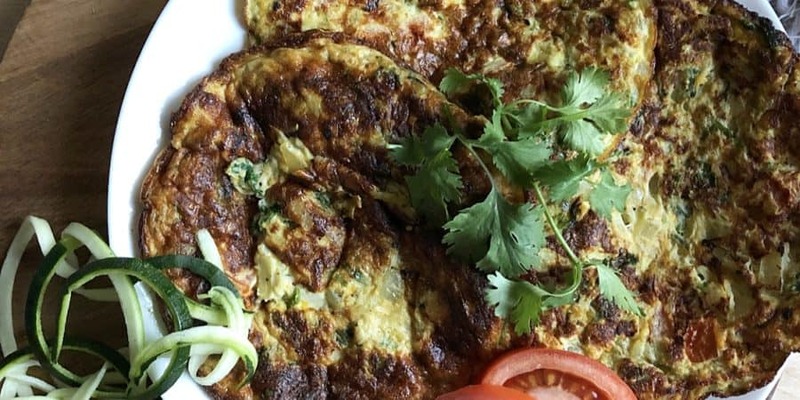 Every now and then, my family would make an iftar meal known as nawashef where basically we would eat baba ghanouj, hummus, pita bread with other dips along with eggs and other veggie dishes with soup and salad. Those were always one of my favorite meals! It was like a cleanse from eating so much meat. 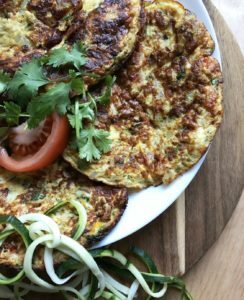 One aspect of those dinners always included 3ijeh which is this zucchini and veggie egg fritter full of flavor. It’s very easy to make yet so delicious. In a food processor, blend the zucchini, garlic, onion, cilantro and parsley. In a large bowl, beat the eggs and add the various seasonings. Add the processed veggies to the eggs as well as the cheese and diced tomatoes. In an oiled pan, ladle some of the egg batter looking like a medium sized omelette. You can make them smaller or bigger; its your choice. After about 5 minutes on medium heat, you will notice the edges turning light brown. At that point, flip over to cook the other side. Allow to finish cooking and then keep repeating the process for the rest.